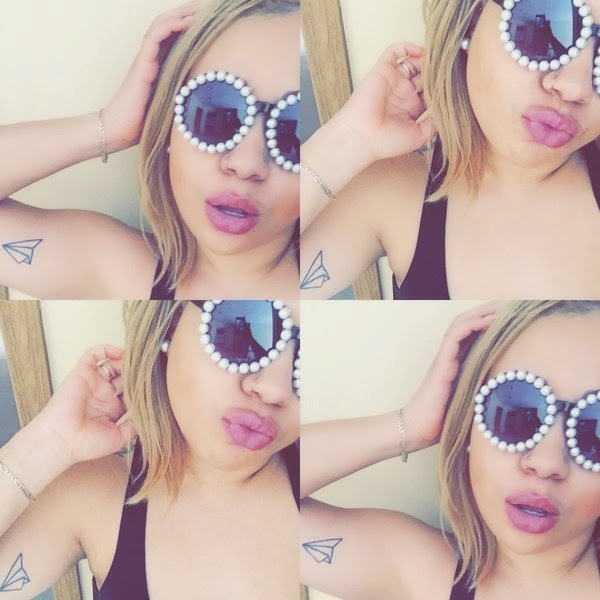 I randomly spotted these sunglasses in a beauty supply store the other day and fell in love! So of course, I had a mini photo shoot. I also wanted to tell you all about this awesome lip color I'm wearing that I've really been loving lately! A while ago I did a Pinterest search on "Kylie Jenner Lipsticks" and Whipped Caviar by NYX was always at the top of the results. I have always admired Kylie's lipsticks on Instagram and had already picked up Faux and Velvet Teddy by MAC to achieve the look. However, I still wanted Whipped Caviar and every time I went into Ulta to look for it, it was always sold out! Fortunately, I finally found it two weeks ago and have been obsessed ever since.